Home / Stock Picks / Stocks to Sell / Snap Stock: Why Would Its CFO Resign So Abruptly? Snap Stock: Why Would Its CFO Resign So Abruptly? It doesn’t take a genius to realize that social media company Snap (NYSE:SNAP) is in serious trouble. Last year, SNAP stock dropped more than 55%, making it one of the worst-performing investments in the marquee New York Stock Exchange. Unfortunately, the embattled organization will likely suffer a repeat performance in 2019 unless it can turn the ship around. In a shocking announcement Tuesday, management revealed that CFO Tim Stone will step down from his post. As a result, Snap stock tumbled over 7% during extended trading. Heading into Wednesday’s session, SNAP stock is trending down more than 11%! If you’ve followed the company’s (usually negative) news stream, you’ll know that Stone’s departure comes amid a wave of high-profile executives abandoning ship. Last year, marketing VP Steve LaBella and chief strategy officer Imran Khan sought greener pastures. Most recently, HR head Jason Halbert resigned earlier this week. As if things couldn’t get worse for SNAP stock, Stone’s tenure was one of the shortest in the organization’s history. The now-former CFO lasted only eight months. Per protocol, SNAP CEO Evan Spiegel offered the usual niceties. As far as the real motives behind the quick exit, we can only speculate. But we can make one statement with reasonable certainty: the decisive catalyst(s) must have been overwhelming. We have to remember that executives don’t make these decisions lightly. While they enjoy impressive salaries and benefits, a poor reputation can quickly end that joyride. Specifically, Stone left e-commerce and technology giant Amazon (NASDAQ:AMZN) for this role. That’s not an easy gig to walk away from. Further, Stone’s prospective employers will rightfully question his motives and commitment. Not only that, the company offered him $20 million in restricted stock, with an option to buy 500,000 common shares. No matter how rich you are, you never willingly leave money on the table. In fact, the affluent become more emboldened with their negotiating skills: that’s why they’re rich! Therefore, it’s shocking for anyone to let so much wealth go. Because of his extremely truncated tenure, Stone will not receive a majority of the compensatory benefits tied to SNAP stock. Simultaneously, the executive indirectly sullied his 20-year career at Amazon. So what could drive someone to this drastic decision? Again, we can only speculate. But examining the common reasons why CFOs quit is revealing, and portends further pain for Snap stock. From an administrative perspective, CFOs typically leave due to interpersonal conflicts. This is a broad category that covers situations such as executive and directorial dysfunction, a poor relationship with the CEO, and ineffective talent within the finance group. On a personal level, a CFO could simply get bored with non-stimulating work. Or they could simply jump ship for more money. None of these reasons satisfactorily explains why Stone pulled the plug. Moreover, they’re related to executives who put in the time to discover these negatives. As The Wall Street Journal explained a few years back, a sudden departure may spell trouble. In some cases, the problem is due to executives butting heads. But in others, a fundamental vulnerability may exist in the target organization. The WSJ chronicled 3D Systems’ (NYSE:DDD) former finance chief Ted Hull similarly brief tenure. When 3D Systems initially hired Hull, he represented a steal. Previously, Hull worked at Cisco Systems (NASDAQ:CSCO) and International Business Machines (NYSE:IBM). In reality, Hull was a bad omen. The 3-D printing industry’s growth narrative declined significantly. Apparently, there was nothing he or anyone could do to save DDD. Prior to the news, a temptation existed to take the contrarian trade. As I mentioned earlier, SNAP stock absorbed significant pain. 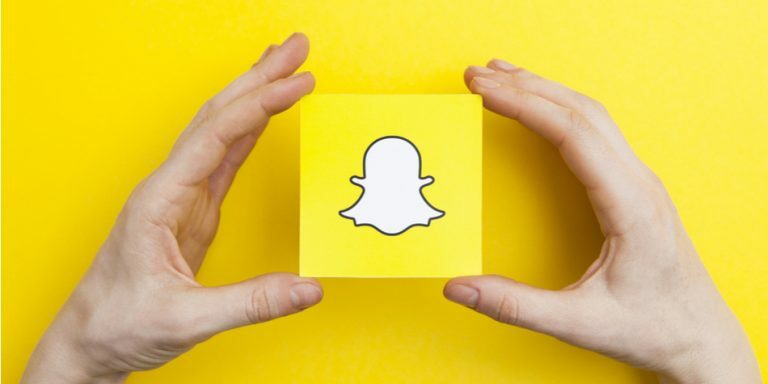 However, its Snapchat app remains popular with its core young audience. Additionally, management is actively seeking international opportunities. But at some point, we must read between the lines. Among publicly traded competitors Facebook (NASDAQ:FB) and Twitter (NYSE:TWTR), Snap has the smallest subscriber footprint. However, its youth-centric focus means it has to win the volume game with its core audience. After all, Snap stock isn’t exactly an older person’s investment. Unfortunately, Facebook’s Instagram app has disrupted the company’s dominance in the younger demographic. Further, FB has the resources to bombard SNAP relentlessly. All management can hope for is that they can be bought out at a reasonable price. That sounds awfully negative until you realize that Stone left a fortune on the table. For him, leaving was the rosier option compared to gobs of money. If that’s not an indictment against SNAP stock, I don’t know what is. Article printed from InvestorPlace Media, https://investorplace.com/2019/01/snap-stock-why-would-its-cfo-resign-so-abruptly/.